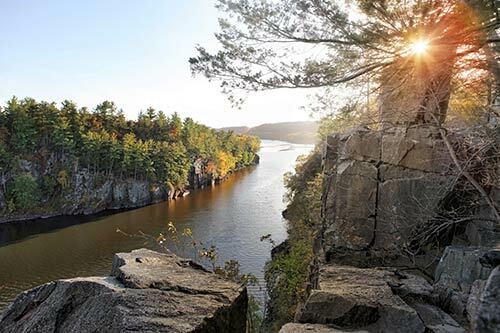 Located in America's heartland, Wisconsin is a place of abundant natural beauty, diverse recreational activities, progressive educational institutions and developing economic opportunity. Wisconsin's appeal isn't limited to rural areas. The state's towns and cities have a long history of supporting arts and cultural activities, offering visitors a wide variety of museums, galleries, events and historic sites. Milwaukee's Summerfest is recognized as the "World's Largest Outdoor Music Festival." The state also boasts top-flight sports teams including the Green Bay Packers, world-class entertainment and incredible restaurants and nightclubs. The state also has nearly 500 public golf courses, ranking it among the top states for its ratio of golfers to courses. The Badger state's economy is as diverse as its attractions. Long known as "America's Dairyland," Wisconsin ranks at or near the top in a number of food production categories, including milk, cheese, cranberries, ginseng and beer. Home to companies like Harley-Davidson, Rockwell and Miller Brewing, the state is also a leader in manufacturing.